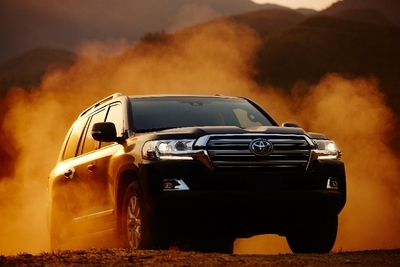 The 2019 Land Cruiser has proven itself over six or so decades to be one tough cookie off road. 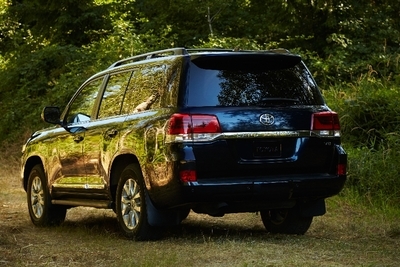 At the same time, it has developed into a very refined full size SUV with a treasure chest of bells and whistles. Its exterior look has smoothed out the boxy edges which is much more in keeping with its sleek interior. And such an outstanding interior it is. Leather. Everywhere. From the steering wheel to the seats that feature front & rear multi-stage heating. 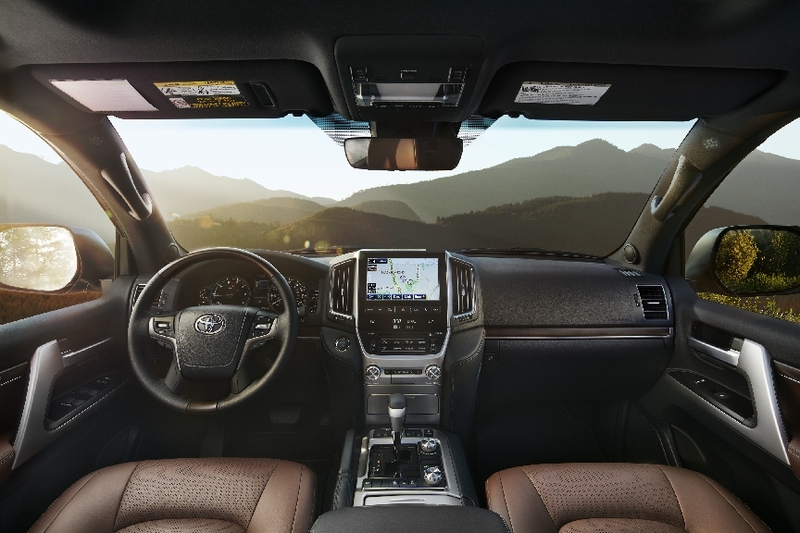 The 9-inch full-color touchscreen display is very cool and the steering wheel features enough buttons to keep your thumbs quite busy and in shape for all that texting you do when NOT driving. 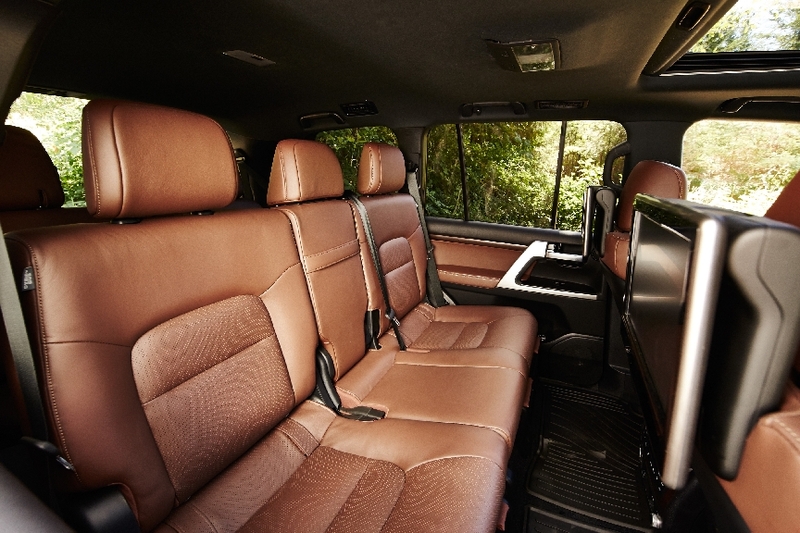 With seating for up to 8 occupants in comfort, the weekend day trips will be very enjoyable. Unless both the scenery and the oppupants become deadly boring. In which case rear-seat DVD entertainment system saves the day. Video games, latest movies and more can all be enjoyed on the two 11.6-inch screens mounted behind the driver and front passenger’s seats. If the weather, roads, or terrain become a challenge, fear not. You are driving a veteran, proven all terrain vehicle powered by 381-horsepower V8 power plant with 401 lb-ft of torque @ 3,600 rpm that will provide legendary off-road prowess will help you overcome toughest challenges. Manipulating that power is an impressive team of tech systems that include Multi-Terrain Select, Off-road Turn Assist, Crawl Control with Off-road Turn Assist Kinetic Dynamic Suspension System. 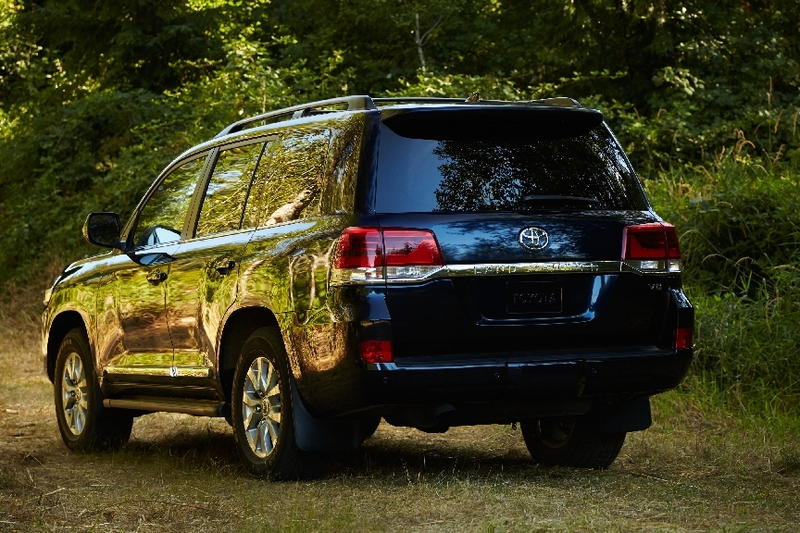 Like other Toyotas, the Land Cruiser comes with the Safety Sense suite that includes a pre-collision warning system, automatic emergency braking, lane-departure warning, and adaptive cruise control. Also included is blind-spot monitoring with rear cross-traffic alert. My personal favorite feature is the Cruiser's HUD (Heads Up Display). Between that and the voice command system, distractive looking away from the road is minimized and your safety quotient is quite high. With combined mpg in the middle teens, you will make frequent gas stops, but you will get there in absolute comfort particularly if you life includes a lot of intense weather and roads of all kinds.